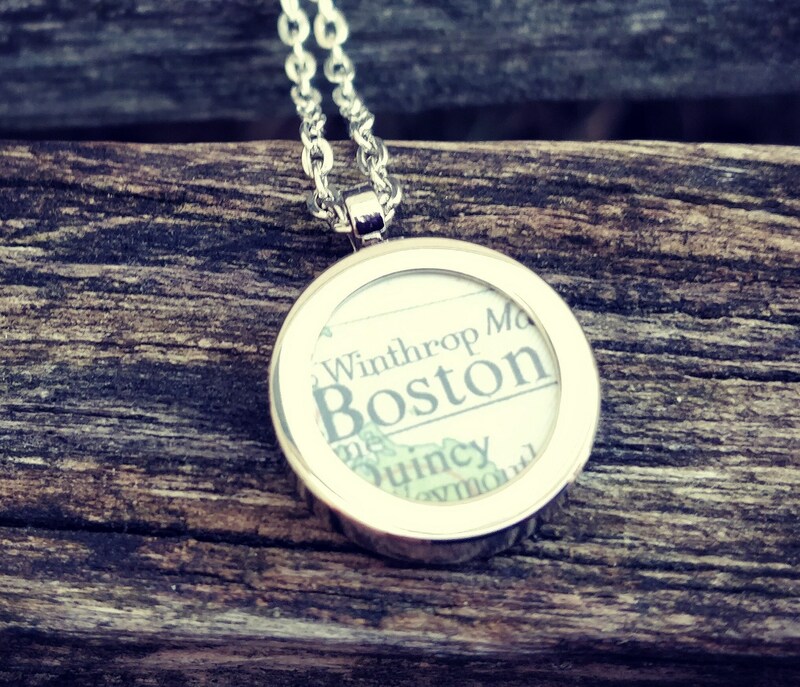 Custom Map Necklace. 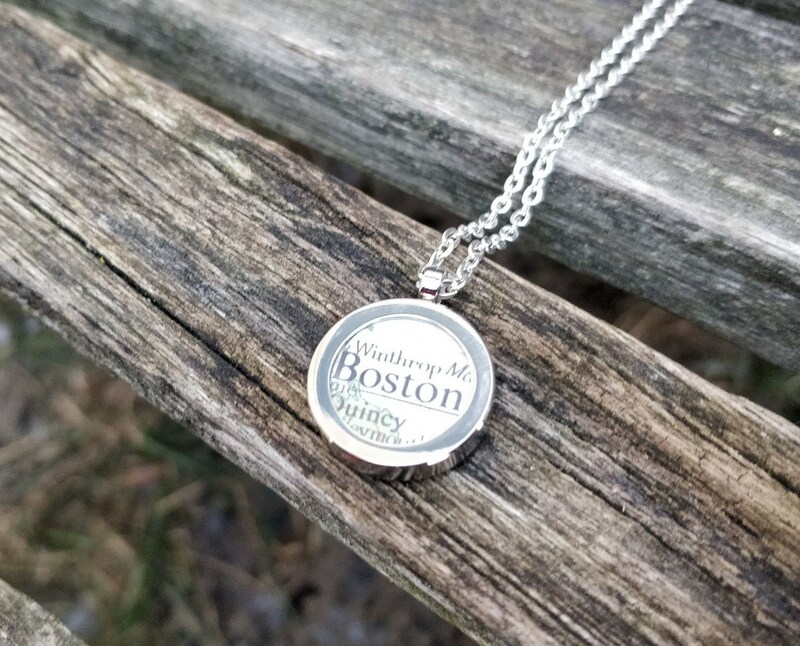 Anniversary, Birthday, Bridesmaid Gift, Mom, Christmas Travel. Vintage Map. Personalized. 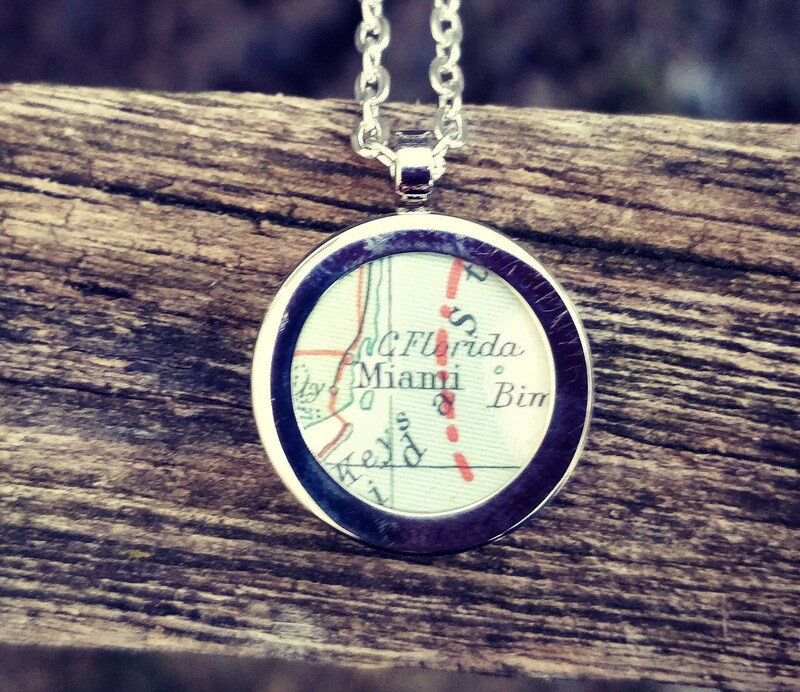 This silver necklace can be made with whatever map you want. Just leave a note in the box at checkout with the city you want. Also select the length you want your chain. Map color will vary depending on location. If you have a color preference, let me know and I will dig through my maps and see if I can find something suitable. These are perfect to give for a gift. 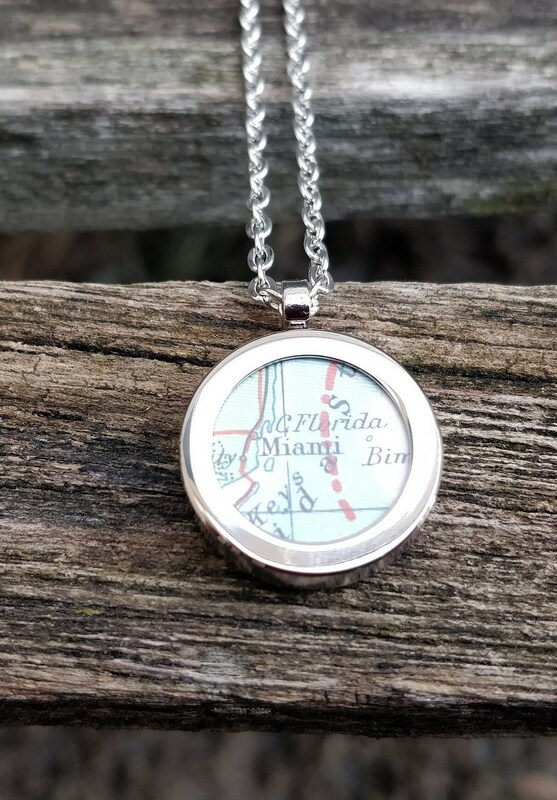 great for anniversaries, birthdays, weddings, bridesmaids gifts, Christmas, Valentine's Day, or just because. 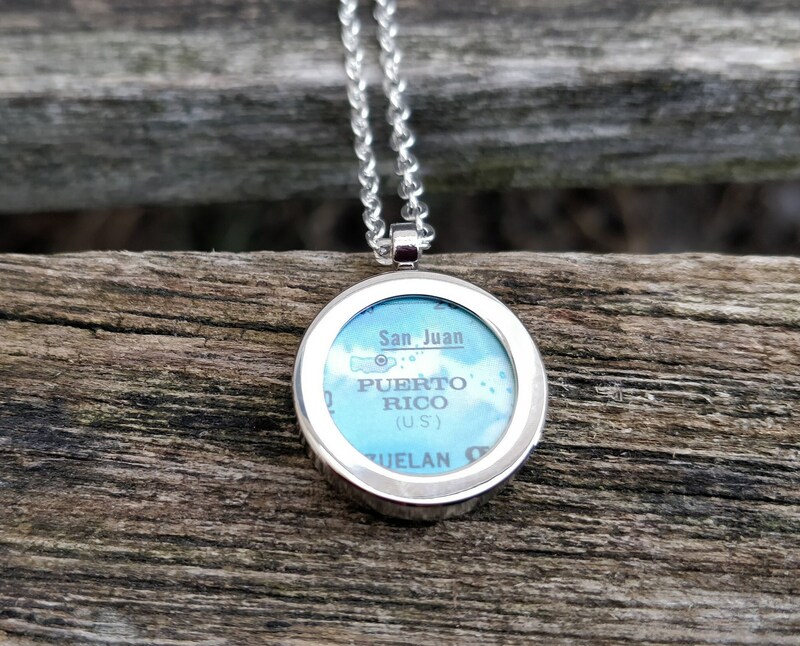 The pendant measures about .75 in. 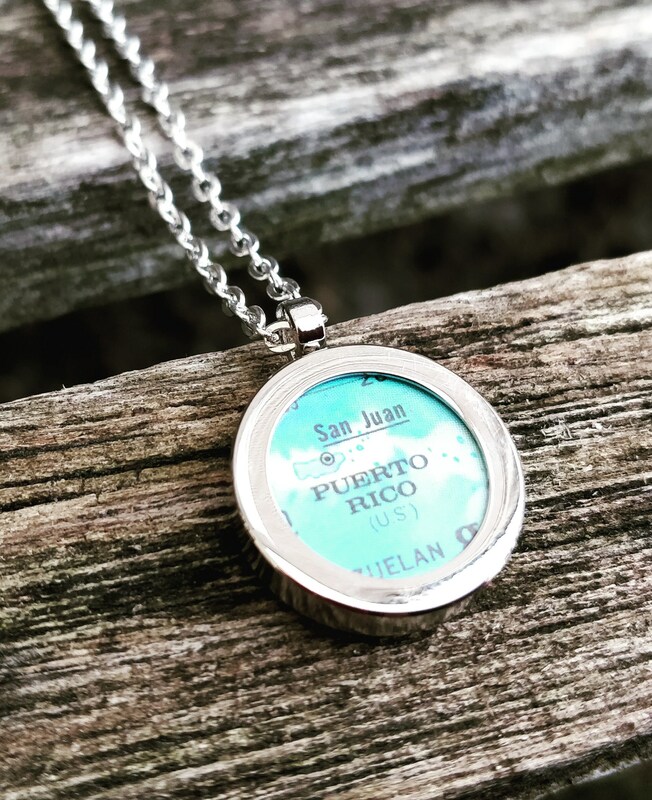 All necklaces come in a gift box.